Waiting for the morning update. Operations has to gather GPS data on the fire perimeter this morning. Last night's survey had to be cancelled due to cloud cover. www.inciweb.com is listing the Weston Fire as completely unchanged from yesterday. This is unlikely. As soon as updated numbers are released, they will be posted here. 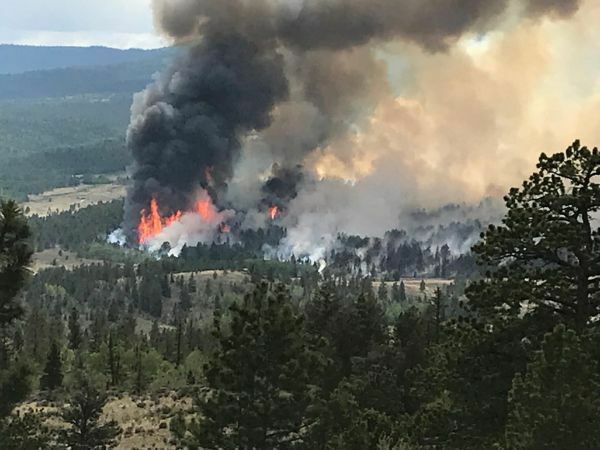 "Our prayers go out to the firefighters working the Weston fire just to the west of us... — at Teller County Sheriff's Office." Different government agencies sometimes give conflicting information. This afternoon's report from the Sheriff's Office will be most accurate. The fire breached the western line they had established with "prolific spotting", yesterday. Other lines held up well and were reinforced with the help of the weather. Today's weather will help with moisture, but may also hurt with wind. An update later today will better explain the status of the fire. Helicopters: Three Type 1, one Type 2, two Type 3, and one fixed wing aircraft. 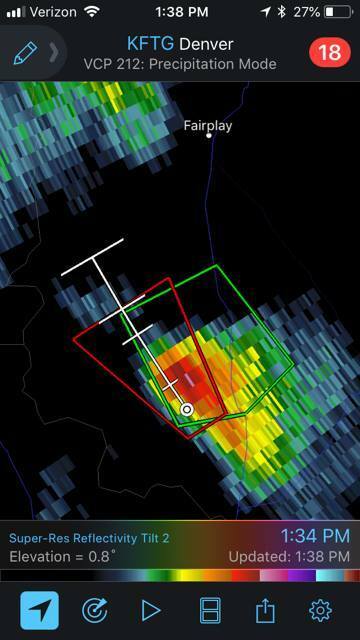 "A confirmed tornado was spotted south of Fairplay. 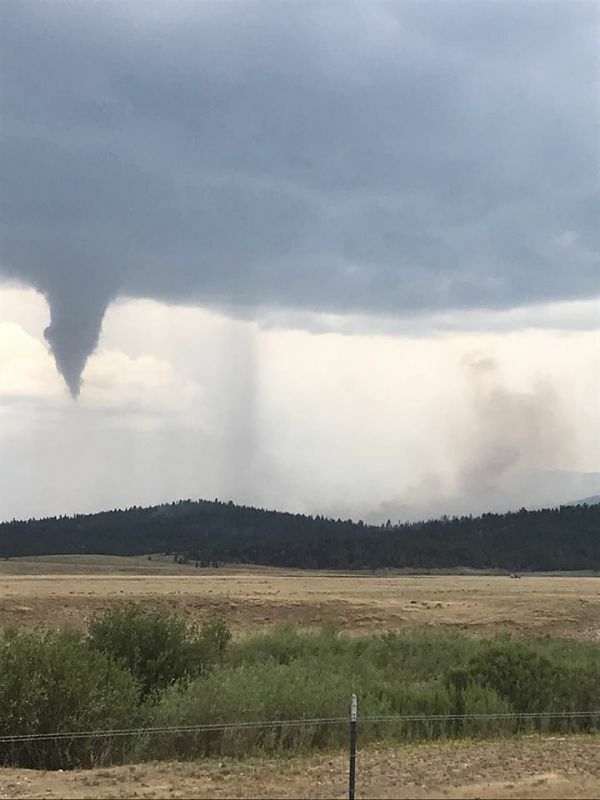 The tornado wasn't far from the Weston Pass Fire, which is burning nine miles southwest of Fairplay. This same storm cell is bringing a threat for flash blooding to the nearby Weston Pass Fire... there is no word on whether it caused any damage." A tornado moved across the fire area at approximately 1:45 pm. Firefighters went to paved or gravel roads during the tornadic activity. There were also trees uprooted. No injuries were reported. Currently 12,939 acres and 15% contained. The acreage was updated following a flight this morning. 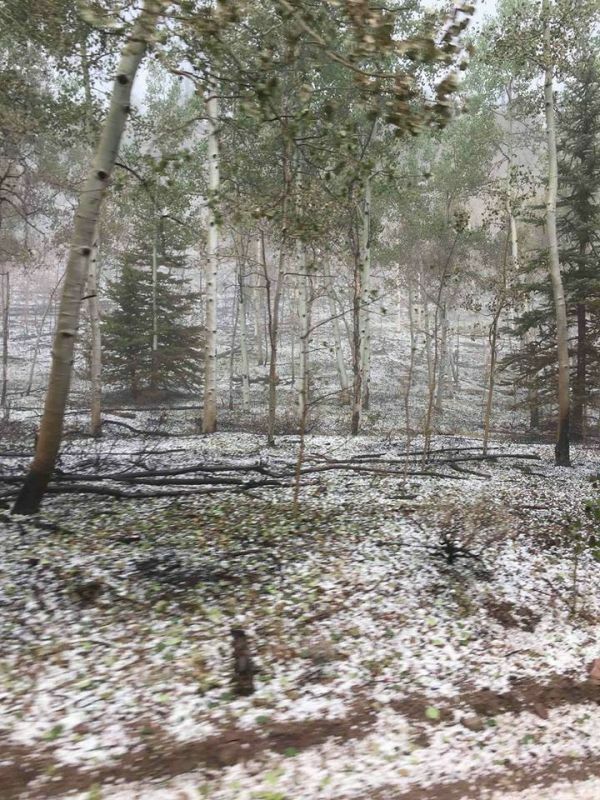 The Buffalo Peaks Wilderness Area has been closed by the US Forest Service, today. All trailheads between Leadville and Salida have been closed. 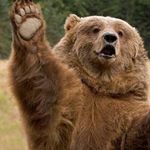 The Buffalo Meadows is particularily popular with campers, and while there is not an eminent threat, they will be notified to leave. The afternoon operations had to be suspended because of the passing of the tornado, and hail. 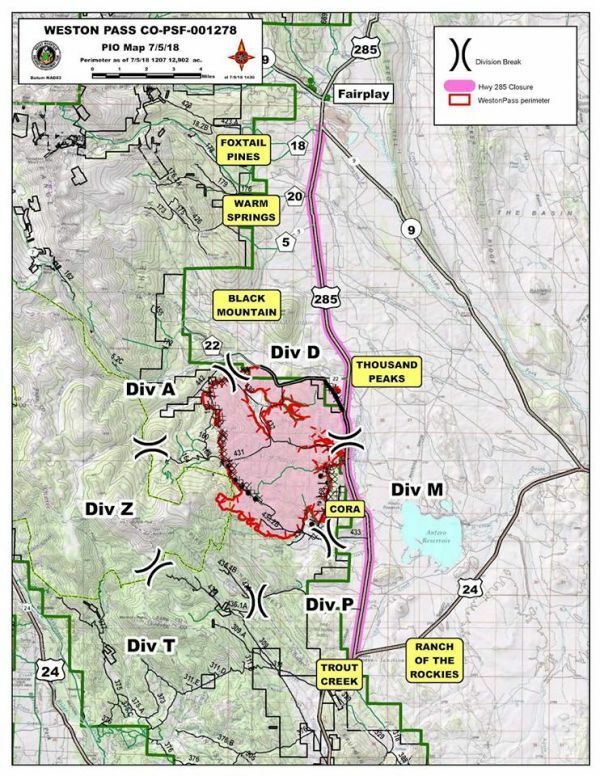 The fire has moved into the Buffalo Peaks Wilderness area. The closure area has expanded within the South Park, Salida, and Leadville Ranger Districts. 12,902 acres, containment increased to 17%. "Thunderstorms were anticipated over the fire today, however an unexpected tornado resulted in crews leaving the line for safety reasons. There were reports of uprooted trees.. and hail;.. there were no reports of injuries. Tomorrow’s forecast calls for calmer weather, partly cloudy in the morning and mostly cloudy in the afternoon. There will also be thundershowers and thunderstorms late morning and early afternoon..."